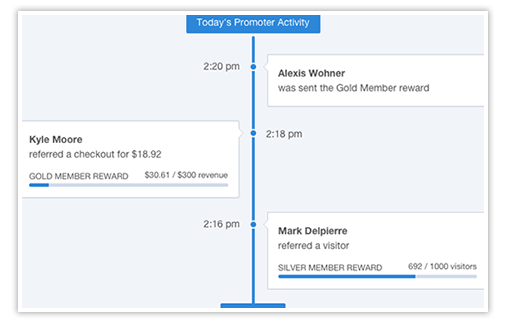 Your activity stream will show live referral updates from your store so that you can track promoter performance instantly. Visits, orders, rewards and more will all be streaming throughout the day, and you can filter to target specific incoming activity. You can also set up email alerts so you are notified when certain activity occurs.